MinUni (outstanding offer) this torch will be delivered with the very important dichroic interference filter (dramatic improvement of the fluorescence colors). 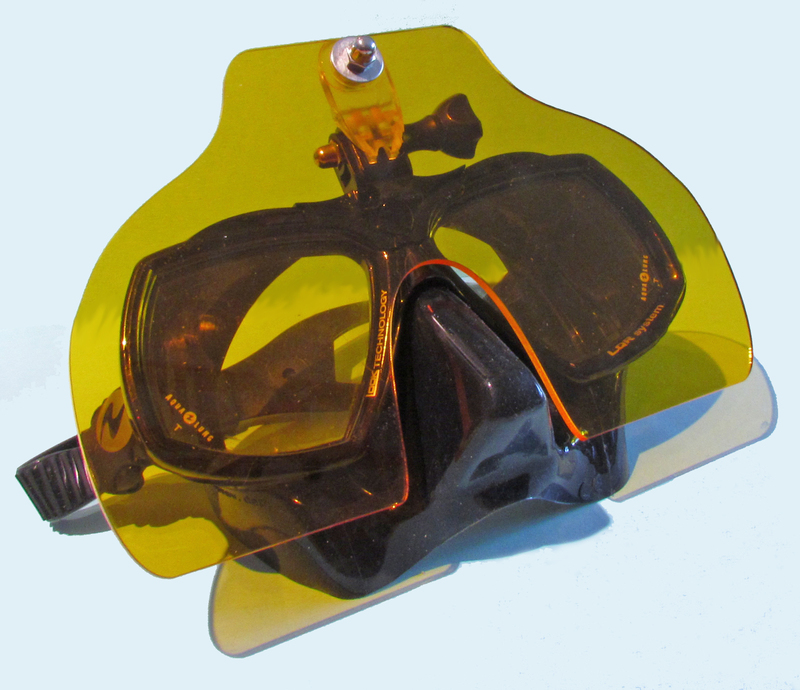 Included is also a piece of an essential yellow barrier filter (50 x 50 mm). 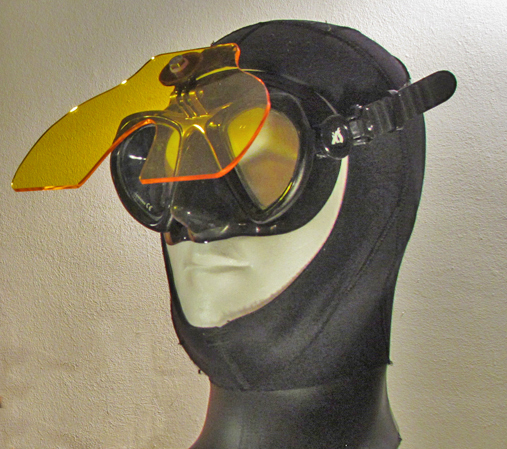 Without it the diver does not see the neon-fluo colors, but an overlaying blue only. In this prize/quality segment no other fluo-torch can compete on the market. 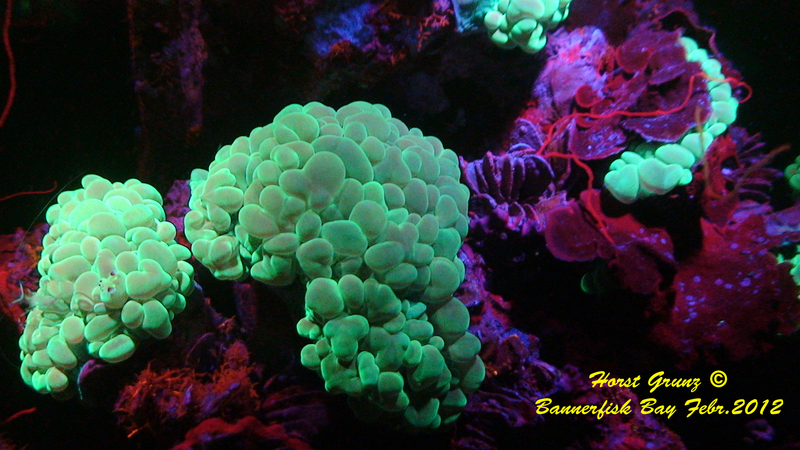 Welcome at Magic Fluo Diver - the coral reef as a magic new underwater world Night dives with fluorescence are increasingly in the center of interest. under water change in seconds from Blue into White (450-465 nm into daylight 5500º Kelvin) with an external phosphor filter. In this price segment and power with integrated dichroic special filter unique worldwide. In tradition of my first HighPower fluorescence torch worldwide in 2007 I offer on demand a HighEnd Version with 7 strong blue LEDs. For delivery allow about 3-4 weeks. 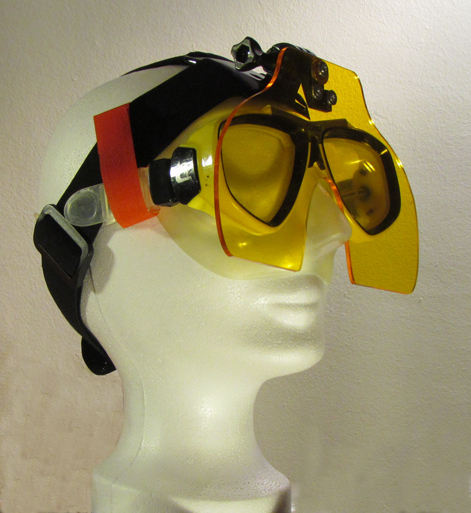 A further highlight is the possibilty to change the lenses from flood to spot by the customer. 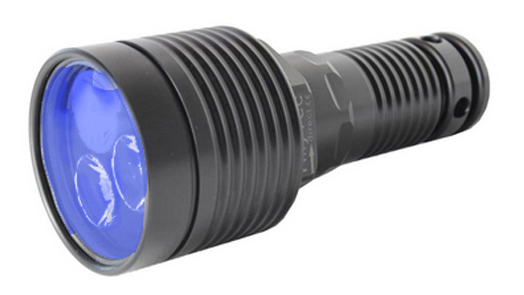 On demand we also offer an intensive torch with 7 blue LEDs, which is unique on the fluorescence market. Have a look on this module. 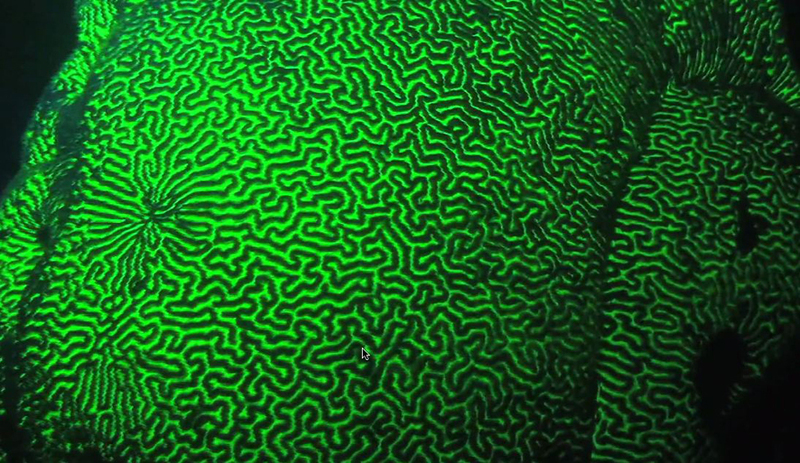 There are now a large number of provider of Fluorescence equipment for night dives, I concentrated on the absolutely necessary items, which are inportant for good results. 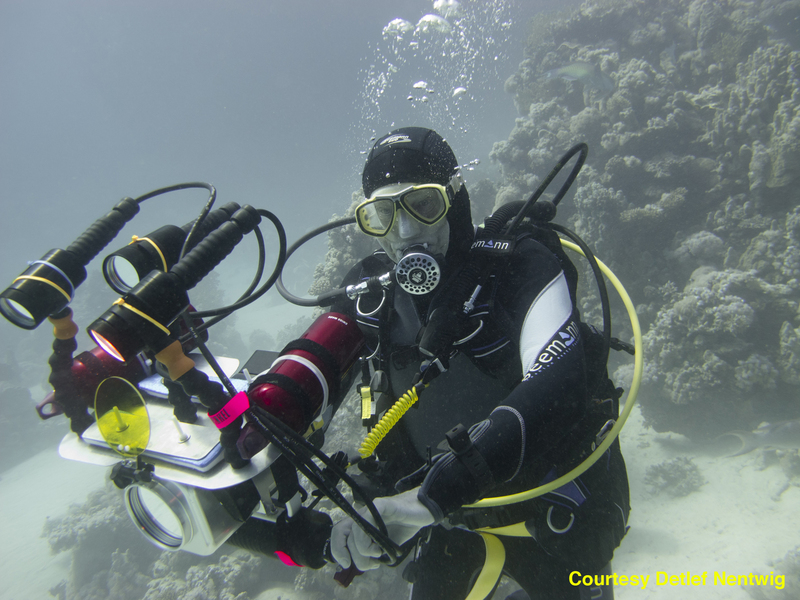 You will find under Commercial Torches and Special Filters torches and filters, which I have already successfully tested in Egypt at the coaral reef. We provide for very attractive rates special filters for strobes, LED torches and masks, which are arond 30 - 50 % cheaper than those of commercial dealers. 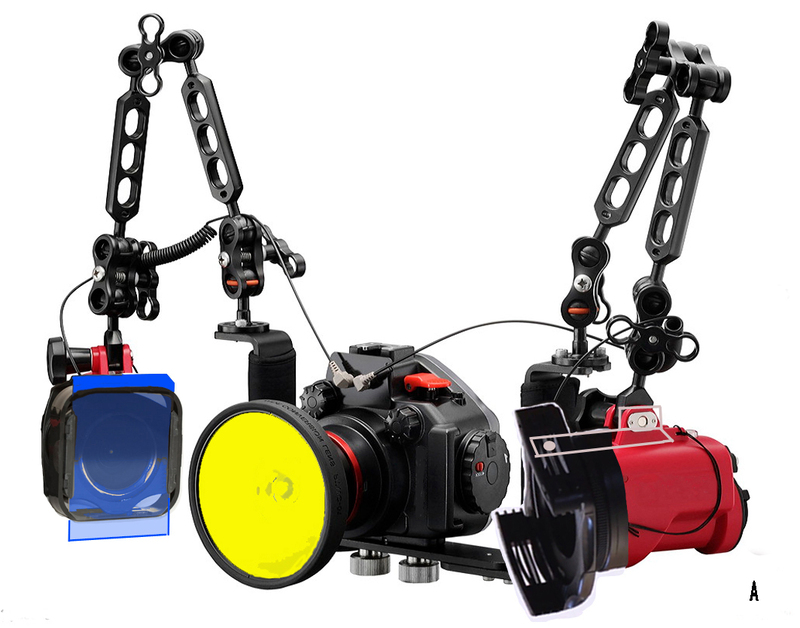 My recommendations are based on our experiences as diver, constructor of HighPower torches, video filmer and Marine biologist. Have a look on my newest YouTube movie with the novel mask filter under News. 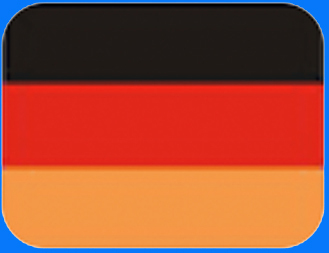 Fluoreszenz-torches of the former TillyTec TT und MPL Series are now sold by FOC-Tec. 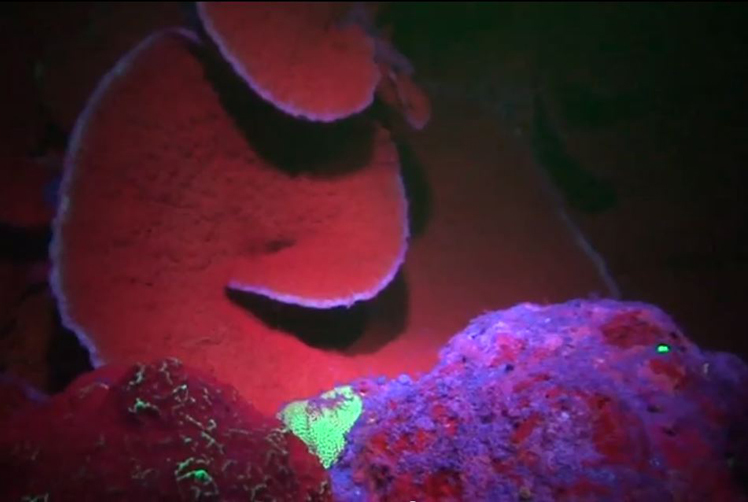 FilterBecause of my long experience with fluorescence during night dives I know that many commercially available filters were lost under water. Furthermore divers don't like them because of the additional handling. This is the reason that the use of UV- torches (wave lenght below 400 nm) frequently comes up for discussion, since excitation- and barrier - filter could be ommitted - the poor results show that this approach is wrong. The advantage of my filter - set is easy to understand: 1. sturdy position on the head 2. Quick change in seconds by turning up and down. 3. can be used on masks of every size. Point 2 is important especially for comparative judgement and documentation with white and fluorescence illumination. 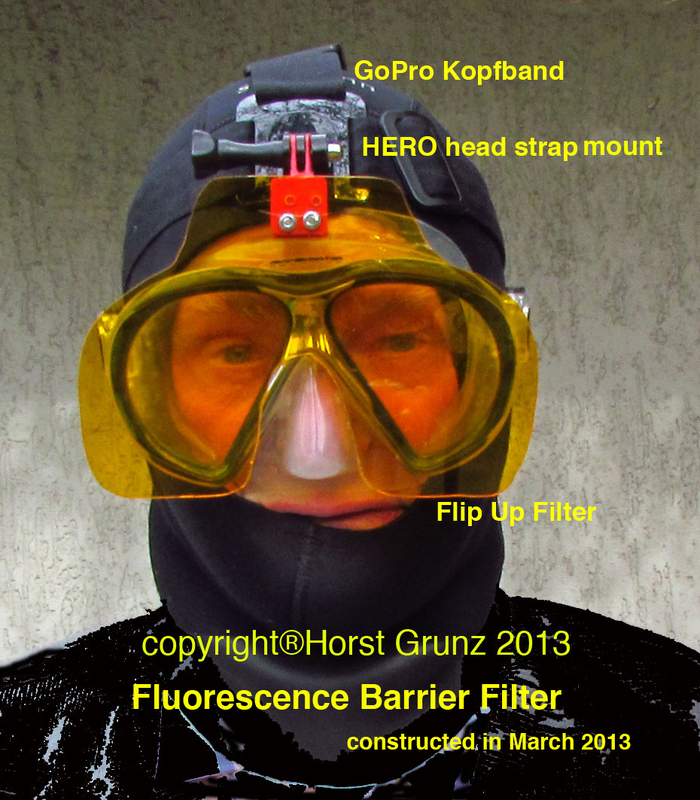 This is my improved barrier-filter device for underwater-fluorescence. 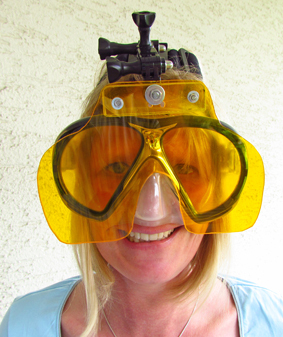 It is fixed at XS Scuba GoPro Mask. It contains an stainless steel adapter, where usually an actioncamera could be mounted. 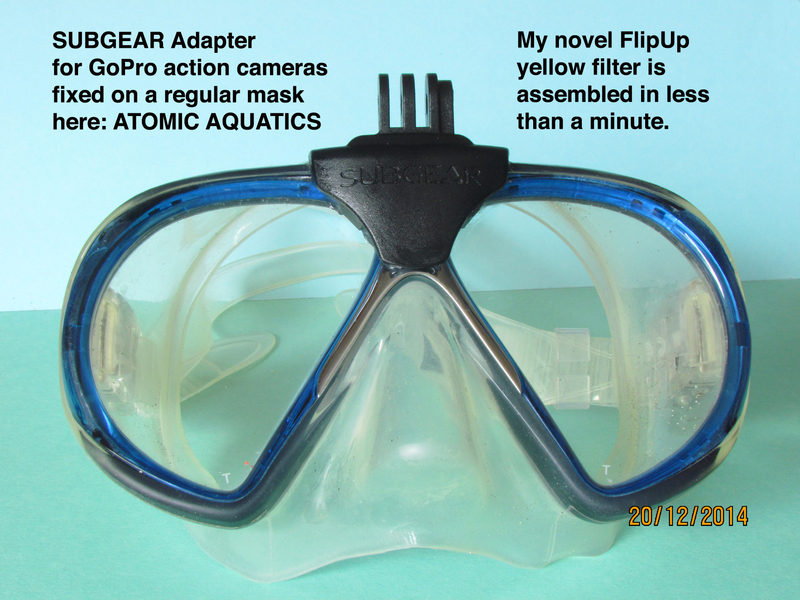 Because of my long experience with fluorescence during night dives I know that many commercially available filters with simple head strap were lost under water (mainly by newcomers). Furthermore divers don't like them because of the additional handling. This is the reason that the use of UV- torches (wave lenght below 400 nm) frequently comes up for discussion, since excitation- and barrier - filter could be omitted - the poor results show that this approach is wrong. The advantage of my filter is easy to understand: 1. sturdy position on the mask 2. Quick change in seconds by turning up and down. 3. 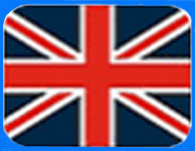 The psition of the filter is close to masks of different sizes (even verylarge ones). 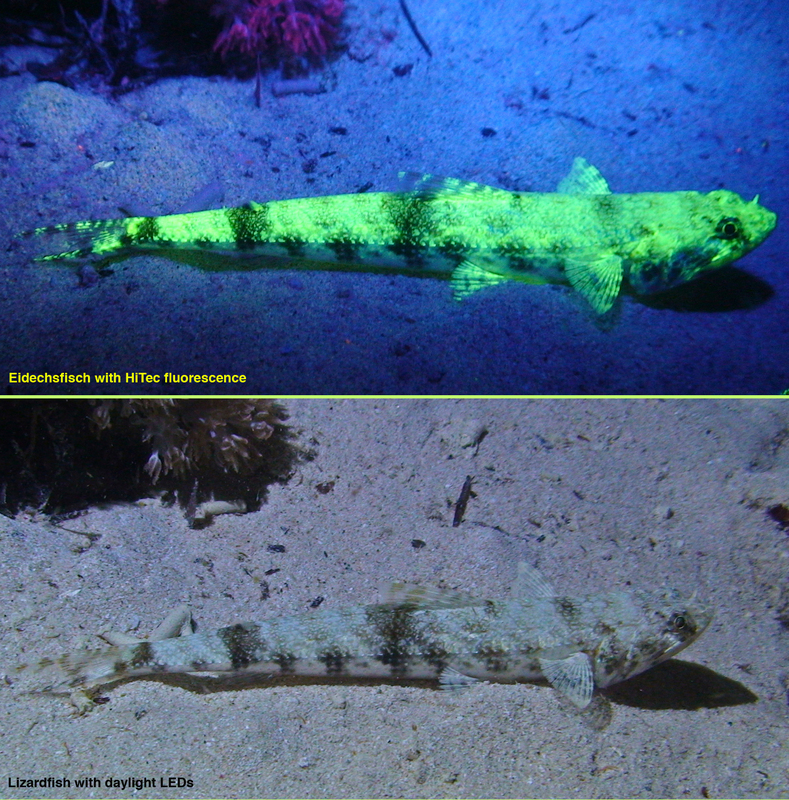 Point 2 is important especially for comparative judgement and documentation with white and fluorescence illumination. 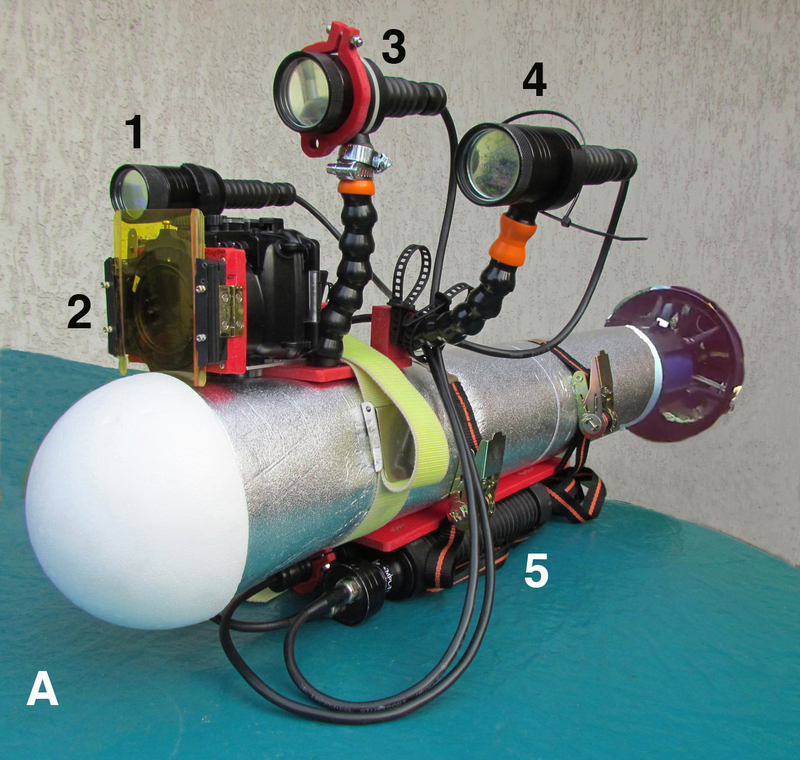 This special filter set converts the white light of strobes (5500º Kelvin) into blue light (450 nm), essential for underwater fluorescence. The filter holder is available up to 130 mm. So it is suitable for nearly every strobe. Director's Cut Selected clips from my YouTube movies between 2010 - 2014. 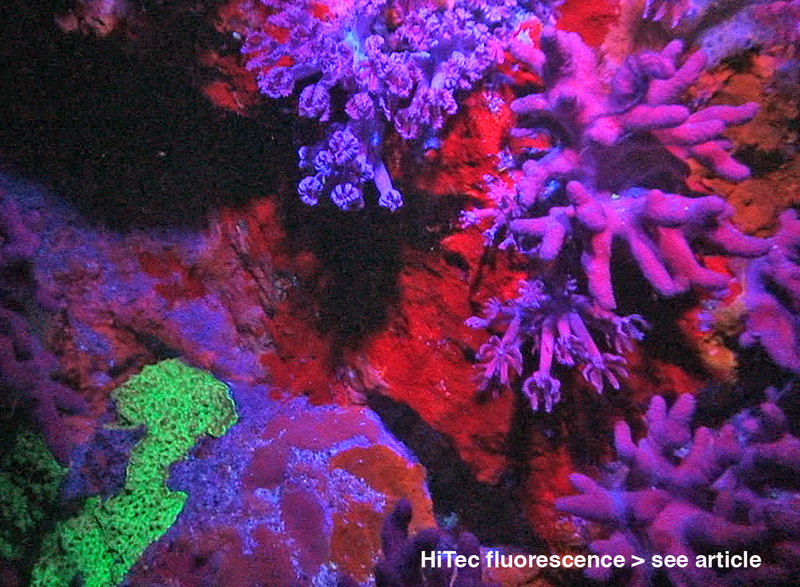 It demonstrates the possibilties of HiTec/HighPower fluorescence for scientific studies of the status of the wordwide endangered coral reefs.